Watching and praying are what I spend a lot of time doing these days. (See Mark 13:37, but read the whole chapter to understand that verse.) Watching what is happening around the world, in a wide variety of aspects and praying about the various situations. 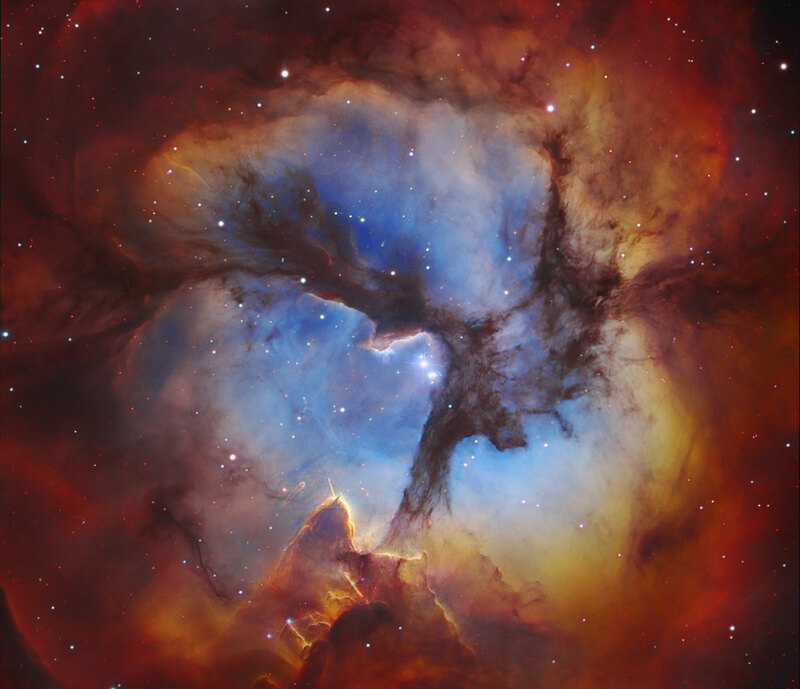 Image actually from yesterday’s APOD article, beautiful. Today: http://apod.nasa.gov/apod/astropix.html What would it be like to drive on the Moon? You don’t have to guess — humans have actually done it. Apollo 16 astronauts John Young and Charles Duke recorded video during one such drive in 1972, with a digital version now available on the web. http://www.newsmaxworld.com/GlobalTalk/egypt-collapse-state-military/2013/01/29/id/487799 CAIRO — The head of the Egyptian military warned political conflict could lead to the collapse of the state and said protecting the Suez Canal was one of the main objectives of the army deployment to nearby cities shaken by violence. http://www.space.com/19510-nasa-communications-satellite-network-tdrs-k.html A NASA communications network used to track satellites and spacecraft orbiting the Earth is about to get an upgrade with the launch of a new satellite on Wednesday (Jan. 30). http://www.rferl.org/content/eu-ashton-iran-ahwazi-activists/24887263.html EU foreign policy chief Catherine Ashton says she is greatly concerned that the Iranian High Court has upheld the sentences of five Ahwazi Arab activists who could face imminent execution. http://www.voanews.com/content/rebels-torch-mali-library-of-historic-manuscripts/1592945.html Mayor Halley Ousmane of Mali’s fabled city of Timbuktu says Islamist militants torched a library containing thousands of ancient Arab manuscripts, as they retreated from the city this week. http://www.wnd.com/2013/01/new-details-surface-on-iran-nuclear-explosion/ Sixteen North Koreans, including 14 technicians and two top military officers, are among those trapped after a Jan. 21 explosion destroyed much of Iran’s Fordow nuclear site, a source reveals. A senior researcher and director of the Centre for Arab & Iranian Studies in London, Ali Reza Nourizadeh, who has many contacts in Iran, confirmed that the explosion had trapped many inside. http://www.egyptindependent.com/news/grand-mufti-approves-death-penalty-innocence-muslims-producers Egypt’s Grand Mufti Ali Gomaa has approved a death sentence delivered in absentia for seven Coptic Egyptian expats accused of producing and acting a movie deemed insulting to Islam. The amateur, 13-minute movie, “Innocence of Muslims,” sparked an uproar in several Islamic states. http://www.aljazeera.com/news/middleeast/2013/01/2013129133917989266.html The bodies of at least 65 persons have been found along a river bank in Aleppo with single gunshot wounds to the head. http://www.foxnews.com/world/2013/01/29/aide-to-egyptian-president-morsi-claims-holocaust-us-hoax/ He claimed the 6 million Jews who were killed by Nazis simply moved to the U.S.
http://www.solarham.net/ Low solar activity today. http://spaceweather.com/ A record-setting asteroid fly-by coming up. Twitter: Feeds from news organizations mostly, listed are only the last hour’s worth. Those I wanted to know more about, I clicked on and read the article. There are quite a few others I get who don’t tweet as often as these. So, that’s what I’m doing these days, among Bible study, writing blogs, doing housework, hosting / attending prayer groups, plus rehearsing new music and playing piano for church. And reading murder mysteries, spy novels, Smithsonian magazine, Charisma magazine, going out to lunch or dinner with friends occasionally. Movies, now and then. 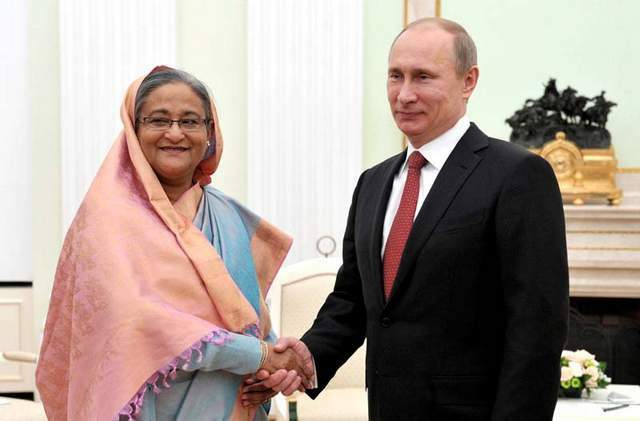 Bangladesh – why is Russia so interested? Several articles about Bangladesh and Russia caught my attention today. “Our countries intend to broaden military-technical cooperation,” Putin said, referring to weapons sales and servicing. He did not specify what weapons or military equipment Bangladesh would buy from Russia. “We will not only provide the most up-to-date technology … but we will also provide financial support for the construction of the nuclear power plant at the initial stage,” he said. The head of Russian state nuclear corporation Rosatom, Sergei Kiriyenko, said technical and environmental assessments would be carried out this year for the plant, which is to have two 1,000-megawatt reactors and be completed in the early 2020s. He told reporters more loans would be required at later stages. Russian President Vladimir Putin on Jan. 15 met the prime minister of Bangladesh for talks that included the signing of a $1 billion arms contract, the Asian nation’s biggest since its 1971 independence. Bangladesh has recently been expanding its defense capabilities, building a new air base close to neighboring Myanmar and adding frigates to its navy. “Our countries intend to expand their military and technological cooperation,” news agencies quoted Putin as telling Bangladeshi Prime Minister Sheikh Hasina during a Kremlin ceremony. “Russia will extend Bangladesh a credit of $1 billion, which will be spent on the purchase on Russian weapons and military technology,” the Russian leader said. The arms purchase agreement included orders for armored vehicles and infantry weapons, air defense systems and Mi-17 transport helicopters, a source close to Russia’s state arms export agency told the Vedomosti business daily. The source said the purchase did not include any tank orders because Bangladesh had earlier obtained those from China. Bangladesh also opted out of its initial plans to purchase eight advanced Mig-29 fighter jets because of their $500 million price tag. A separate part of the agreements saw Russia assign $500 million to finance the construction of Bangladesh’s first nuclear power plant, to be built at a site called Rooppur. The two planned Rooppur reactors are expected to cost $4 billion, with Russia also agreeing to continue financing construction after the first phase of the project is complete, news reports said. Bangladesh’s military spending spree follows the recent discovery of offshore natural gas deposits (see next article), which Russian officials believe means it will have no problems repaying the credit. A.N.M Muniruzzaman, an analyst at the Dhaka-based Institute of Peace and Security Studies, told AFP it was the biggest defense deal ever to be signed by Bangladesh, which gained independence in 1971. Gazprom International, an overseas subsidiary of Russia’s Gazprom energy holding, will begin commercial extraction at the Titas and Shrikail gas deposits in Bangladesh in the coming weeks. The last preparations are being completed. A total of 10 boreholes will be drilled in Bangladesh under a $193-million deal between Gazprom and two local companies, BAPEX and BGFCL/SGFL (subsidiaries of the PetroBangla state-owned national oil company). Speaking after talks with Bangladeshi Prime Minister Sheikh Hasina in Moscow on Tuesday, Putin said that bringing bilateral trade to $1 billion was not unachievable, given last year’s increase of 20% to $700 million. The two leaders issued a joint statement with Russia pledging to consider tariff privileges for Bangladeshi imports within the framework of the Customs Union of Russia, Belarus and Kazakhstan. The document emphasizes the need for broader cooperation in the energy sector, including oil and gas exploration and development. Russia will loan Bangladesh $500 million for the construction of a nuclear power plant and $1 billion for the purchase of Russian weapons. So – what is the strategic importance of Bangladesh to Russia and others? Location, location, location, maybe? Click on the map to enlarge. Look south of China, between India and Burma. The United States is a major development partner of Bangladesh, giving over six billion dollars in aid since 1972. American companies are the largest foreign investors in the country, and the US is also the largest market for Bangladeshi exports. The Bangladesh government is planning construction of the largest deep sea port in South Asia at Sonadia Island. The 500 billion taka project will be completed in multiple phases and enable Bangladesh to service the whole region as a maritime transport and logistics hub. India, China, Bhutan, Nepal and other neighbouring countries (and Russia?) will be able to take full advantage of the strategic location and Bangladesh’s LDC (least developed country) status for exporting their goods, which are manufactured in Bangladesh. Furthermore, with $7.5 billion a new international airport will be constructed. Additional expressways, freeways, fly-overs, overhead rapid transit system, high-speed modern trains, metro rail system, and high-speed electric powered intercity rail network are all planned. Bangladesh is the most densely populated large country in the world. 60% of the population are aged 25 or younger. Bangladesh is the second largest Muslim populated state after Indonesia with over 150 million. Islam is the state religion.